:Since May of 2016 Deeper Fellowship Church, pastored by William McDowell, has experienced an unprecedented move of God with more than fifty healings and other miracles. It's Happening captures these amazing experiences with God and reveals to readers what God has been showing McDowell about miracles, encounters, and revival. McDowell examines various cries for revival in the Bible-some desperate, some persistent, and many misunderstood. 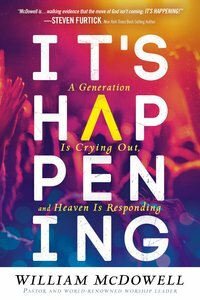 About "It's Happening: A Generation is Crying Out and Heaven is Responding"